With 2018 upon us, it’s time to revamp and rethink your strategies for your small business. Align your goals with what’s trending to ensure you meet, or even possibly exceed, your expectations. From hiring to technological advances, here are 20 small business trends you should keep in mind when setting your 2018 goals. Grow your digital marketing strategy. Did you know that 46 percent of small business owners aren’t sure if their marketing strategies work? And only 37 percent say their efforts are effective. Digital marketing is vital for small businesses, especially as technology continues to rapidly grow. But despite the growing importance of digital marketing, 28 percent of small business still don’t plan on increasing their budget on it. If your digital marketing strategy is lacking, revamp it for 2018. Consider hiring more marketing strategists, contracting freelance marketers or upgrading your marketing tools. Without the right digital marketing strategy, your competitors will take bigger strides and leads. Branch out on social media. Social media also continues to grow in popularity with 85 percent of consumers using social media in some way (and 58 percent following brands on various social media channels). 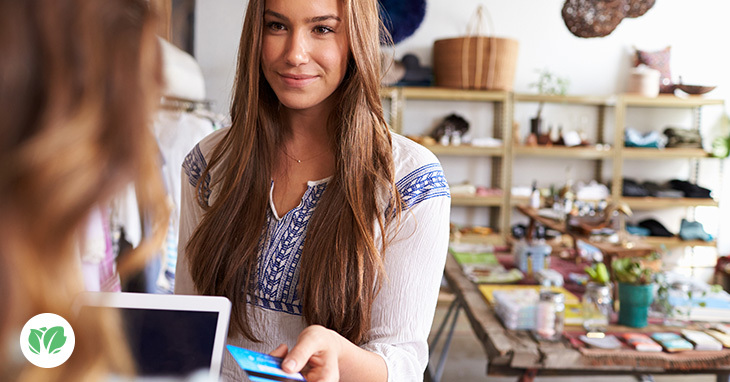 As 45 percent of consumers are influenced by social media for their purchasing needs, it’s an important tool to utilize for your small business’s revenue. Social media management is trended to be the top digital marketing tool in 2018 with 38 percent of small businesses allocating their budget toward it. Facebook continues to be the most popular social media channel for small businesses, with 75 percent of small businesses planning on including it in their 2018 social media strategy. However, that doesn’t mean you should ignore or deprioritize other social media channels. Your social media strategy should be strong on all channels. If you’ve focused on organic posting, branch out to paid advertisements and boosted posts. While you pay for these posts, you reach a larger audience and consumer base. Ensure these posts have been well-thought out and researched to get a better return on investment for your payments. Micro-influencers are influencers with less than 100K followers. These influencers might actually be more effective for your small business as relate to them better. Micro-influencers have a more attainable lifestyle than those with millions of followers and multiple sponsorships. They also offer cheaper contracts for sponsoring your small business. If you weren’t successful reaching out to influencers in 2017, target micro-influencers for 2018. Mapping your customers’ journeys benefits both your small business and your customers. You gain a better understanding of the psychographics and demographics of your customers, their behaviors and what influences them. Monitor your customers’ journeys across multiple touchpoints to see what captures their interest, where (and why) they abandon their journey and what motivates them to complete their journey. With this data, you’re able to better target your customers and personalize their experiences with your small business. They’ll enjoy seeing more products and services that they’re interested in and will enjoy any promotions targeted toward their profiles. Generation Z (those born between 1996 and 2010) will soon accumulate 40 percent of consumers in America. These customers want a more personalized experience when working with your small business, and you’ll want to target them as their buying power exceeds $44 billion. 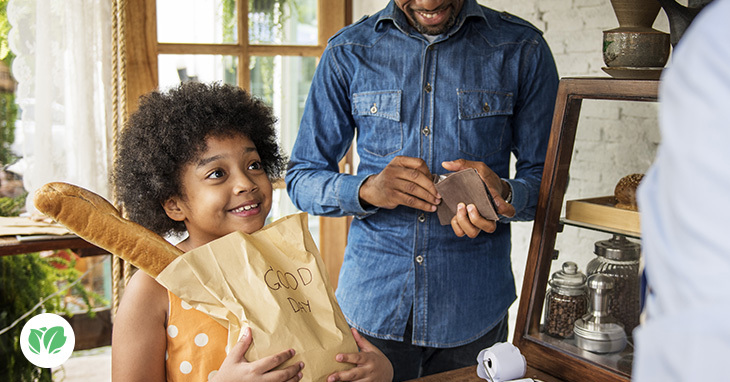 You can target these customers through social media and email (60 percent of Generation Z consumers say email is the most preferred and personal way brands can target them). Leverage videos, images and customize your emails to specific psychographics. Remember that those in Generation Z aren’t millennials. You should master personalized visual communication to capture their attention and loyalty. Fifty-one percent of website traffic now comes from mobile devices, with the average time spent on these devices being five hours a day. That’s a lot of potential traffic to attract to your small business. To take advantage of mobile traffic, focus on mobile search engine optimization (SEO) through simplifying your mobile app or website layout. Having a navigation menu that is simple and present on all pages will help users reduce the number of clicks to find what they’re looking for. Your information should also be easily-presented, with the most important information presented first. You should also focus on your accelerated mobile pages (AMP) to boost your site’s speed, your user experience and your SEO. AMP pages reduce the loading times for your website, which will keep users on your website for longer (people are 90 percent more likely to abandon a page that takes five seconds or longer to load). Cybersecurity became a hot topic in 2017 after the Equifax hacks. In 2016 alone, 55 percent of data breaches were targeted toward businesses. Despite this, 90 percent of small businesses report that they don’t use data protection for their business’s and customers’ information. The cost of an informational hack is vast for small businesses, ranging anywhere from $84K to $148K. Ransomware has become a larger threat, and although small businesses don’t believe they’re worth targeting, 43 percent of attacks are aimed at them. Investing in AI can also help your cyber defenses as machine learning tools can predict and identify attacks. You should also invest in an application and patching testing. Testing your security shows you how effective your system is at protecting sensitive data and where you need to make patches. Augmented reality surpasses virtual reality. It was initially believed that virtual reality (VR) would evolve and be adopted more quickly than augmented reality (AR). However, AR is more cost-efficient and user-friendly for both small businesses and consumers, and mobile AR is projected to become more mainstream. AR immerses users into virtual environments, which gives them more personalized and complex experiences. For example, Ikea launched Ikea Place, which allows users to position 3D furniture around their rooms. This allows the user to see how well Ikea’s products fit with their homes before they make large purchases. To keep up with AR, improve your AR trained and ideation processes for new products or services. By 2020, it’s projected that 56 percent of customers will use mobile payments. While cash currently remains the most popular means of payment, non-cash transactions increased 11 percent between 2014 and 2015 while checks decreased 13 percent in 2015. As check payments fall, mobile payments should help you with your invoicing methods, giving your clients and customers more options to pay you. Outsource where you need to. Customizable small business insurance grows in popularity. Personalized insurance is becoming more and more popular with small businesses. 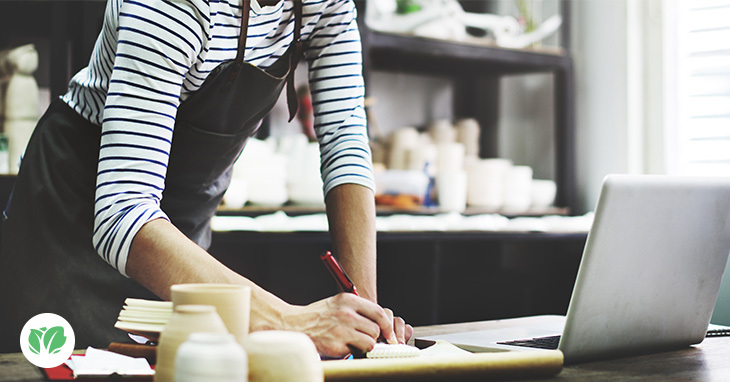 With customizable insurance plans, the carrier can tailor the costs of insurance to fit the exact needs of the small business owner, no matter the size. With careful assessment and coverage selection, you can customize a comprehensive solution for your business by combining several primary insurance coverages, such as business income insurance, general liability, and worker’s compensation with additional more specific coverages like data breach. Millennials are rising into leadership positions in their careers as the oldest are 35 now. Soon, they’ll be managing Gen Z. Born after 1998, Gen Z begins to make its presence in the consumer and workforce space. However, each generation has its own ideals in terms of their career and what they want in a workplace. Although both grew up with devices and technology, Gen Z has different desires for their careers and workplace. 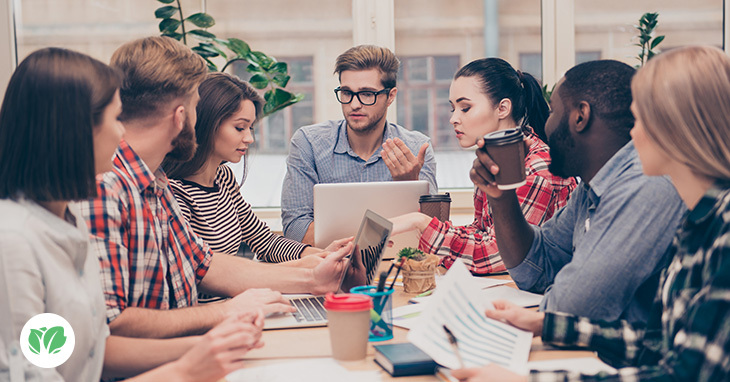 Gen Z is more independent than millennials, which could lead to a return of closed-off workspaces (unlike the open-floor plan millennials crave). As they’ve grown up with multiple technological advances, Gen Z can adapt to technological advances more quickly than generations before. Gen Z are also more likely to be in pursuit of a steady paycheck instead of millennials, who are more likely to pursue happiness. Target entry-level workers for your entry-level positions. Forty-one percent of employers say the hardest positions to fill are entry-level. However, the issue might lie in the requirements of the position. 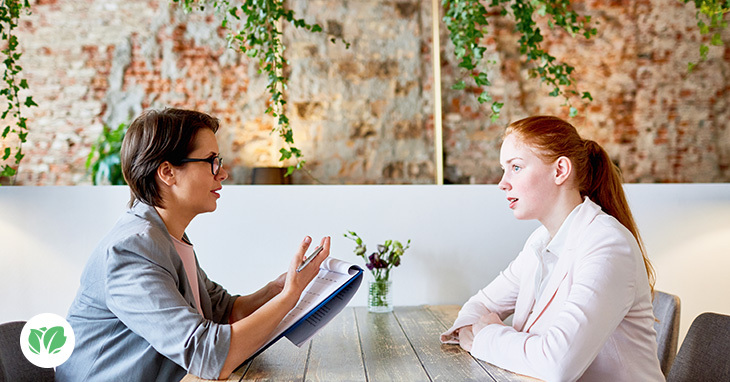 While it’s tempting to ask job seekers to have at least one year of experience so you can save time on training, it’s not an accurate description of an entry-level position. What’s more: Job seekers will be upset with having to take an entry-level position with a field they already have experience in. Instead, focus your entry-level positions toward job seekers new to the industry. Take the time to train them and offer them incentives to stay loyal to your business. Keep yourself updated on these wage laws to ensure you have enough funding to keep on or hire more employees. Did you know that 60 percent of employees believe they can do their jobs remotely (and 72 percent prefer working at home!)? Remote work can actually save your small business some funds if you have employees who work full-time remotely. Studies show that businesses save an average of $20K a year for these full-time remote employees, saw 22 percent increases in employee productivity and saw a 50 percent decrease in employee turnover. However, if you’d rather not have your employees work remotely every day, offer them other options. If they have a longer commute, offer one or two days a week where they can work from home. You could also allow a certain number of remote days a year (similarly to allotting time off or sick days). Work-life balance isn’t just important for your employees – it’s also important for you. As a small business owner, you take on more responsibility than anyone, and that stress can add up. It’s important to set boundaries for yourself and your employees. Small business owners tend to lack the discipline to stop working, and while that shows passion, it also leads to burnout. Set a time for when you and your employees will be off the clock. If it’s after 6 p.m., don’t conduct any work unless it’s an emergency. You should also set primary goals and start delegating tasks that don’t relate to those tasks. Delegating is key to easing your workload and relieving some of that stress. Check in with your employees to see how well they’re handling the tasks, but don’t micro-manage them. You should also aim to make your small business a fun place to work. While it’s not possible to make every moment of everyday fun, you can try offering a variety of workplace perks, big or small, to boost positivity around the office. You can also offer outdoor workspaces, which are proven to lower stress and boost morale. If your business is the type to have it, put a ping-pong table in the café or offer massage chairs. If you’d rather offer free snacks, dress-down days or once-in-a-while free bagels, do that instead. Offer wellness programs for your employees’ physical and mental well-beings. Wellness programs have become popular among larger companies, so it might be wise to take a page from their book. In fact, 55 percent of job seekers will take a job with lower pay if the benefits offered are better compared to another job with higher pay, and 53 percent would participate in these programs if they helped lowered insurance costs. Some ways you can offer wellness programs are by partnering up with fitness classes to offer discounts for employees, offering in-house fitness or meditation classes and offering classes to help manage employees’ emotional well-beings. With the right strategies, you can attain or even exceed your expected yearly goals. These 20 small business trends will help you stay ahead of the game (and your competitors) in 2018.